Learn how to heat your home efficiently and sustainably using wood fuel. What will the Wood fuel and home heating course cover? 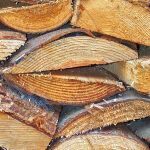 This one-day course is suitable for beginners and will cover the basics of wood fuel home heating. Andy has been running this course in various forms for some time and has seem dramatic changes in technology and interest, but the course derives from a few basic rules that frequently seem to be forgotten. 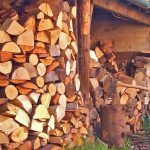 He also seeks to dispel many popular myths about wood burning stoves including which wood burns best, use of the chimney damper, how long to season firewood, is arboricultural waste timber sustainable? and much more. 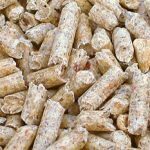 The term “wood fuel” now encompasses several technologies; traditional split logs, woodchip and wood pellet. Each of these systems will be discussed during the course with focus put on those of most interest to the group. The course will include the possible benefits of fuel autonomy, carbon, local economies, and sustainability. Who is the Wood fuel and home heating course for? This course is open to anyone aged 16 or over. It is for anyone who would like to learn how and why wood fuel is desirable and helpful. This course will be suitable for those interested in wood fuel systems as well as those who are already using wood fuel but would like to recap or improve their existing systems, knowledge and uses. Brighton Permaculture Trust aims to meet the needs of participants with physical disabilities and leaning difficulties. If you have any issues which you feel may affect your ability to attend or participate in this course/event, please contact us to discuss them prior to booking. As part of the course, participants will learn techniques for efficient wood fuel home heating, fuel storage and use. Several scenarios are discussed so that the participants can align the theory with a practical application in their own home. Course participants who complete the entire course will receive a certificate, which will be sent via email after the course. Andy Reynolds is a long-term practitioner in low impact living, and has been running the family home on wood, solar and wind for several decades. He is the author of Heating with Wood and runs a YouTube channel to provide open source ideas and information. A copy of Andy’s book will be given to participants as part of this course. Mischa Hewitt will be assisting. Mischa was one of the project managers of Earthship Brighton, is the author of the book Earthships in Europe, and has an MSc in Architecture: Advanced Environmental and Energy Studies (Distinction) from the Centre for Alternative Technology. He is a building consultant, domestic and non-domestic energy assessor, and has worked on many eco renovation projects. Fees include tuition, refreshments and information sheets.